Daily Caller: Senate Judiciary Committee Chairman Lindsey Graham is requesting an FBI briefing about the circumstances of a pre-dawn raid of Trump confidant Roger Stone’s home in Florida last Friday. “I am concerned about the manner in which the arrest was effectuated, especially the number of agents involved, the tactics employed, the timing of the arrest, and whether the FBI released details of the arrest and the indictment to the press prior to providing this information to Mr. Stone’s attorneys,” Graham, a South Carolina Republican, wrote FBI Director Christopher Wray on Wednesday. 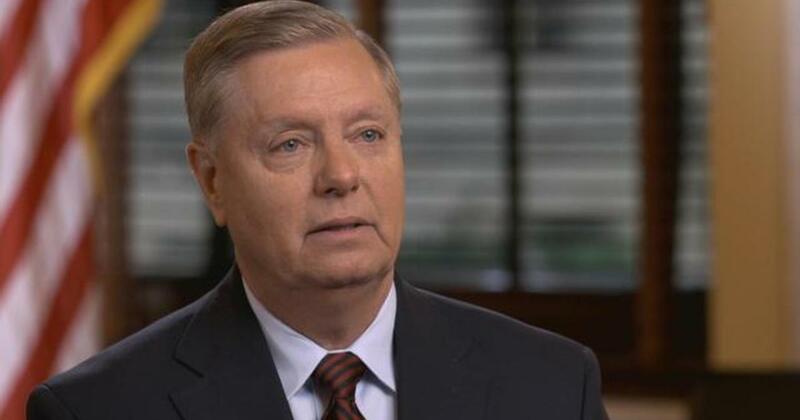 Graham is requesting a briefing from the FBI by Feb. 5 into the raid, which he asserted matched the tactics typically used to arrest a violent criminal. He is also demanding to know whether the press was tipped off about Stone’s impending arrest. CNN cameras were rolling as a swarm of armed FBI agents and U.S. marshals stormed Stone’s property shortly before dawn on Jan. 25. Stone was indicted under seal on Jan. 24 in the special counsel’s investigation. He is charged with five count of making false statements to Congress, one count of witness tampering and one count of obstructing an official proceeding. The charges center mostly on Stone’s conversations with associates and Trump campaign officials about WikiLeaks, which published emails stolen from Democrats during the 2016 campaign. Stone is not charged with conspiring with WikiLeaks or Russian government operatives, who are alleged to be behind the hack of Democrats’ emails. He is also not accused of making false statements when he told the House Intelligence Committee on Sept. 26, 2017 that he has had no contact with WikiLeaks or its founder, Julian Assange. Stone, a longtime GOP operative who has known President Donald Trump for 40 years, has complained about what he calls the FBI’s heavy-handed tactics. He’s said that he would have voluntarily turned himself into authorities had his lawyer been contacted by prosecutors. In an arrest warrant filed under seal on Jan. 24, prosecutors expressed concern that Stone could destroy evidence and that he posed a flight risk. Stone has pushed back on that argument, saying that while he has destroyed no evidence related to the special counsel’s case, he has had two years to destroy evidence if he wanted. He also said that he does not have a valid passport and could not flee the U.S.
Graham wants to know why the FBI chose to raid Stone’s home rather than contact his attorney and if the arrest is consistent with arrests of defendants facing similar charges. The senator also wants to know whether anyone at the FBI, Justice Department or special counsel’s office tipped off CNN to the arrest. CNN has claimed that its reporters saw a flurry of activity at the federal courthouse in Washington, D.C., last week and guessed Stone may have been indicted. The network claims it dispatched a reporter to stake out Stone’s house in case he was to be arrested. Stone pleaded not guilty to the charges on Tuesday and says he plans to take his case to trial. Lots of luck getting info in DC, Graham would have better luck in getting information by writing Merkel.